Flag Faststamps on restricted distribution! A contact has written alerting me to the fact that the Union Flag Faststamps (Post and Go stamps) which should be available from today are not being distributed to standing order customers of Royal Mail. Ok, that may not be restricted distribution, as such, but it's not automatic distribution, which collectors might have expected. None of the Faststamps are listed in the 'Special Stamp Programme' in the 6 x 1st stamp retail booklet, so nobody had any clue that these would not be sent to Post & Go standing order customers automatically. Now my copy of 'first' arrived this morning but my correspondent only learned about this from a friend and hasn't yet had his own. If he had, he would also see that the order form, predictably, indicates that the usual handling fees will apply - £1.45 UK, £1.55 Europe, £2.15 Rest of World. UPDATE from Royal Mail Day 2 6.30pm (really! 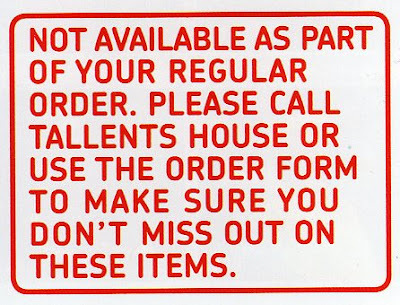 ): "we will still process orders for FDCs at Tallents House for those people who received the communications late." There is likely to be considerable demand for FDCs produced by dealers! LATER: Norwich PO was able to sell packs mid-afternoon on 1st day. Day 2: Bought my Flags this morning without the problems that I had with the pigs, although £20 notes still not accepted (even for a £100+ purchase - they are normally restricted to purchases over £10 anyway). I noticed that a customer using the 'post it now' menu for postcards for Hungary (87p) received 20g Europe Faststamp (which is also 87p). That's the first time I've seen a Faststamp produced from the 'post it now' menu other than the 10g Worldwide (which is also currently 87p!). I suspected that this might be the case a couple of weeks ago and so I rang Tallents House and asked. When they told me that they were not on automatic standing order I paced a special order for blank covers and stamps so I could do my own covers. They have not yet arrived, presumably because the Bureau does not like dispatch on Fridays for Monday issues in case they arrive on Sat. Why do we have Monday issues? if it's any consolation..... dealers are permitted to have them on pre-release and ours haven't arrived yet either. I believe the packs only arrived at TH last Monday/Tuesday. Don't forget you can send them to any SHC for postmarking after the event if you don't get the stock in time. I ordered my FDC this afternoon without any problem from Tallents House. That's reasonable as today is this issue date. I wonder about those who receive 'first' tomorrow and try to order FDCs? After my reported problem on Monday at Harlow I decided to try two London Post Offices on Tuesday. (Both have Post & Go facilities). At Old Street was told that they only had 3 packs for distribution and they had sold them on Monday - none left. I then went to Farringdon and queued for a while (noted also that both P & G machines out of action!) only to be told that presentation packs are only available from the Foreign Currency counter. Queued again. Counter clerk went off to see if they had any packs in stock, only to come back to say they had nothing!! All very strange really - do they want our custom? I went to Bristol main post office (The Gallaries) at about 11am on the first day. The packs and FDCs were available over the counter but not in the machines. I was told that they had not received the rolls but hoped to on the 23rd. 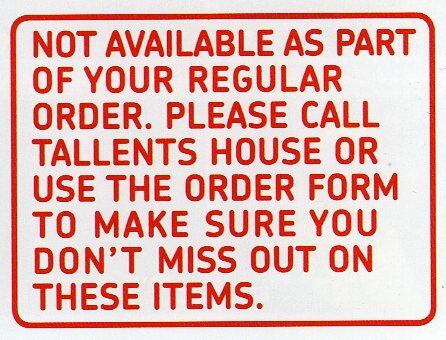 I went to my main local Post Office and tried to buy the one single pack that they had received but was unable to as they had no number currently on the Horizon till to sell it by. This would be sorted out later. I asked if they would order me some more but when they tried to order some they were told they could not order any more as there was no order number availble for this product. The had received plenty of rolls the week before so both machines OK on Monday 21st. Trafalgar Square/William IV Street were limiting presentation packs to 2 per customer as they had not received their usual quota on the 21st May. A delivery was expected later in the week. Only 2 kiosks were vending flags at this office on this date. I have put on my Google websites a listing of what was available at a number of offices on or around the 21st - Google: pmechuk, wincoralbum1 and wincoralbum2.